After 6 years of Flite Test foamies, an epic WW1 battle is at the edge of your fingerprints! The FT SE5 Biplane was designed to build fast, fly slow and look great both on the ground and in the air. 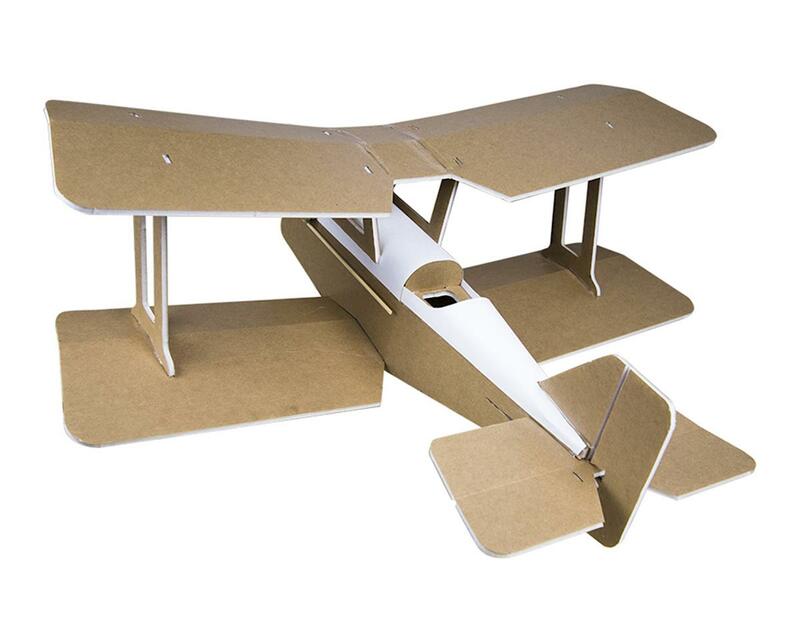 We put a lot of effort into taking a design that is known for being a handful and making easy to both build and fly. The FT SE5 Biplane is a 3 channel slow fly aircraft that can turn on a dime and be flown in a very small location. Loops, barrel rolls, wing overs and many other classic maneuvers are all possible with this little warbird. The FT SE5 Biplane is also a perfect companion for its arch rival the FT DR1, an iconic German Triplane that flew the skies and shared lead with its British nemesis. Our hope is that the SE5 will be the source of many happy memories as you take to the skies and recreate epic battles with your friends in your own backyard. We want you to have an amazing experience both in building and flying, This kit comes with everything you need to complete the FT DR1. Push-rods, control horns, firewalls and all other items needed to make this airframe electronics ready are included in the kit. If you choose to purchase our power pack F and wheels, balance, flight performance and assembly will be quick and easy. “I am French and very poorly master your language, so what a pity that your kit does not contain any assembly instructions! Unfortunately this will prevent me from ordering others despite your seriousness of sending and speed! Je suis français et maîtrise très mal votre langue , aussi quel dommage que votre kit ne contienne aucune notice de montage !